After taking 4th place in its debut weekend, My Hero Academia The Movie: The Two Heroes drops to 7th place in its second weekend. It has been confirmed that the all-new feature film earned 500 million yen in its first three-day run, which was a massive 282% of that of Souta Fukushi-starring Bleach, the most recent live-action film adaptation of an internationally popular Shonen Jump manga title. While its current total gross for My Hero Academia is unknown, it seems more frond-loaded than expected. The first one million moviegoers of the film receive a bonus book that includes a nine-page manga episode "No.0 ALL MIGHT: RISING" newly-drawn by the original manga author Kohei Horikoshi himself. The bonus might not be enough to sustain the audience's interest in its second week? We'll update when we receive more actual box office numbers. 1 (1). "Gekijyo-ban Code Blue ~ Dr Heli Kinkyuu Kyuumei ~"
2 (2). "Mission: Impossible - Fallout"
4 (6). "Jurassic World: Fallen Kingdom"
7 (4). 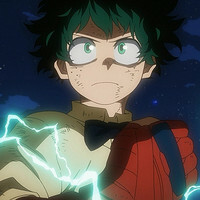 "My Hero Academia The Movie: The Two Heroes"
8 (5). "Kamen Rider Build the Movie: Be the One"
9 (8). "Pokémon the Movie: Everyone's Story"